From the controversial incarceration of prisoners at Guantanamo Bay, to the brutal ethnic cleansing being practiced in Darfur, to the widespread denial of equal rights to women in many areas of the world, human rights violations are a constant presence in the news and in our lives. Taking an international perspective, and focusing on highly topical issues such as torture, arbitrary detention, privacy, health, and discrimination, this Very Short Introduction will help readers to understand for themselves, the controversies and complexities behind this vitally relevant issue. 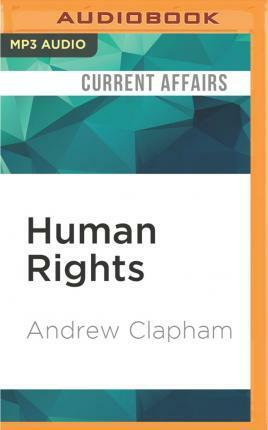 Looking at the philosophical justification for rights, the historical origins of human rights and how they are formed in law, Andrew Clapham explains what our human rights actually are, what they might be, and where the human rights movement is heading.